If you want the benefits of SOFT WATER there is only one reliable option … a water softener. We can make it EASY for you to get SOFT WATER … with a Culligan Water Softener. Culligan is the number one #1 recognized brand for water softeners and has been for 75 years. My name is Bud Wood and I’m your local Culligan Man. 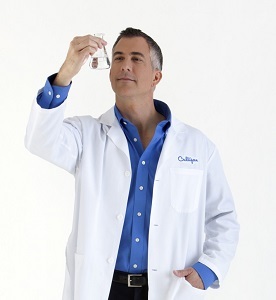 The one thing I always tell people is that Culligan has been an innovator in water treatment since 1937. Also, keep in mind that the additional salt in your water is almost negligible. In the Four Corners area we have around 15-18 grains of hardness on city water supplies (which is a combination of calcium and magnesium). When we exchange that for salt (sodium) you get about 28-35 mg of salt for each 8oz glass of water.